Care for your records, they are precious and deserve to be looked after. They have survived fifty years – make sure they stay that way. LJC recommends this as the best way to store precious records for maximum protection at minimal cost. You have bought the record home, washed it with your record cleaning machine, then listened it through both sides for any problems – before deciding if it is a keeper or to send it back . If it’s a keeper, it’s yours, you need to start taking care of it from Day One. Store any original corporate inner sleeves inside the record jacket, along with any vintage price-stickers you want to keep them (some people keep them as part of the original artefact, others prefer to remove them), Save the obi strip and insert for Japanese pressings. It can be useful to print off and store any Ebay paperwork (original grading and description) if that fits your effort-profile. From here on, it’s new archival storage, starting with a new set of containers. I keep a stock of these (I buy a 100 at a time). All you need: a 400 gm polythene outer bag for everything, a paper outer liner, and a mylar anti-static inner bag. It’s good to get a routine together that works for you. For right-handed people like me – start by inverting the record, so it is effectively upside down, in hand. 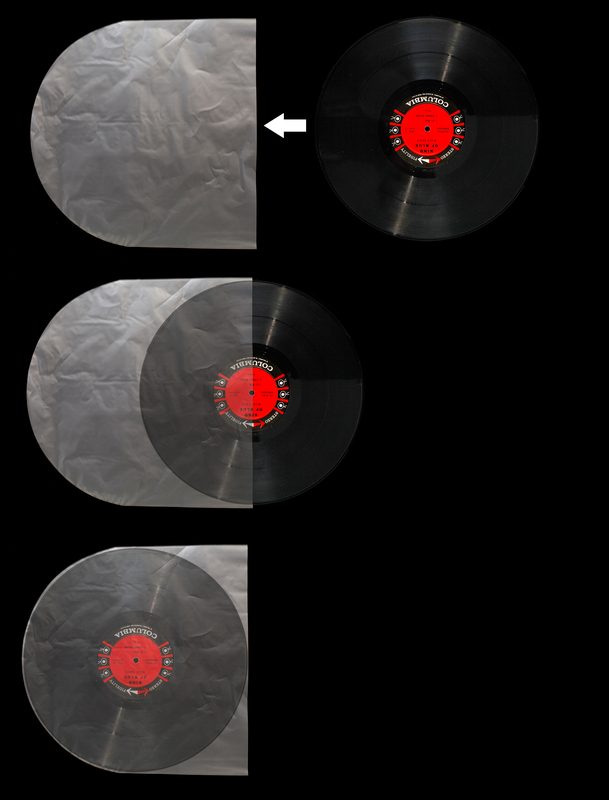 Slip the upside down record into a new anti-static mylar sleeve. Anti-static mylar sleeves are archival quality – chemically inert for long-term contact with vinyl , unlike some 1960’s polythene-lined paper sleeves, which caused vinyl to “sweat” or caused an irreversible chemical reaction. Now no more paper scuffs to the vinyl surface. 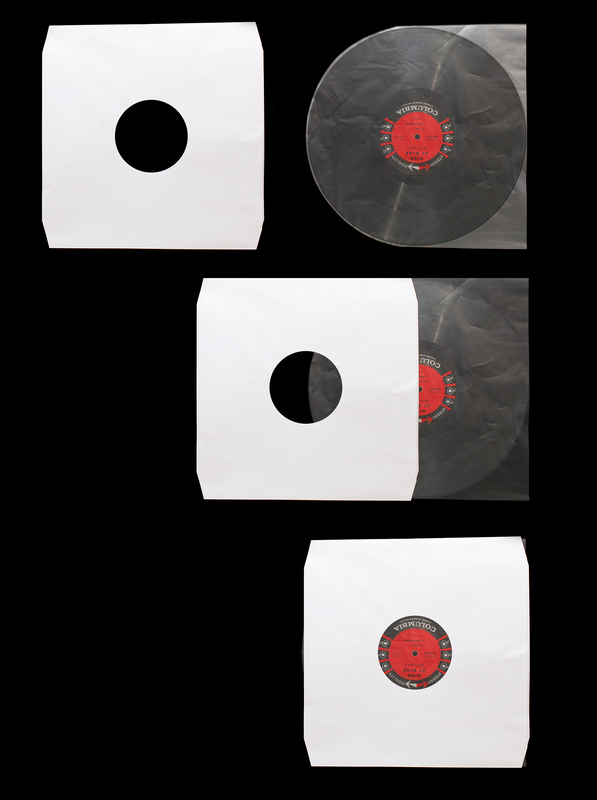 Next, insert the mylar-protected record into a new paper sleeve.The paper sleeve and the record now belong together, clean record in a clean storage environment. If you don’t record these things at the time it is fresh in mind, I guarantee you will forget them within a couple of months. Now unite the LP, in mylar, with its new paper sleeve. Invert the sleeved record so the label is returned to an upright position for normal reading but the edge open to air previously on the right is now on the left side. Turn the polythene jacket around and introduce the LP cover into the top edge of the polythene sleeve which contains the record. Soft polythene is not only protective, unlike rigid glossy plastic it will not in time form a vacuum seal with a laminated cover, becoming “welded” to the artwork and to destroy it if moved. Hey LJC, isn’t in more convenient to have all the open edges aligned, easier to extract,play, and re-store the record? One thing people query is why have the open end of the poly-sleeve at the top rather than at the side (like they are in record shops). The answer is quite simple. Assuming you want to be able to read the spine through a closed end of the poly- bag, if you store the record open end at the side, when you pull the record from the shelf you simply end up with an empty polythene jacket in your hand and the record still on the shelf. With the open-end at the top, the whole thing slides easily out and back in its place on your shelf. Also, the easier the record slides out of its storage, the higher the risk it will accidentally fly out! 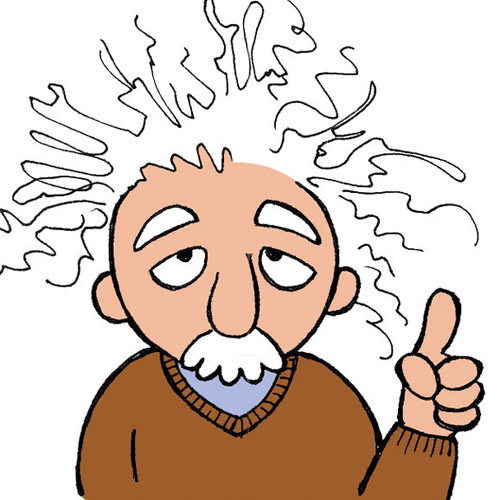 Einstein moment! “Accidents only happen to careless, stupid people“. Some people were programmed with this idea in their upbringing, usually because that’s how their parents were programmed (told off) by their parents. Accidents can happen to anyone, we are all clumsy sometimes. Smart people know that, and adopt flexible methods that make allowance for the unexpected. Stupid people insist it won’t happen because they are smart. Next step, the cover goes into the front line defence, the 400gm soft poly outer. It protects everything, and it wont stick to the record cover. Bin any stiff acrylic outer cover the record came with. no further cover ringwear – the record is outside in its own protective sleeve. You know it makes sense, but it’s whether you are motivated to do it. All you need to do is to spoil an irreplaceable record once, to remind you why you must. After carefully mopping up the red wine, one record at a time, I was staggered to find at the end of the process not one record or sleeve had sustained even one drop of damage. The only casualty was one paper sleeve which suffered a trivial few drops of ingress. Realistically the only damage was the loss of one glass of rather pleasant Australian Cabernet Sauvignon. Think of it as insurance. You never know when or if you will need it. But it is a good plan, and you would be crazy not to protect your investment. Some US collectors swear by rice paper liners, fine, I am sure they are very good, but I happen to like the above products and suppliers. Coming up next in this practical series: the correct way to tie your shoe laces, and how best to address your fellow passengers in the event of accidentally passing wind in a lift. SleeveCityUSA.com is a great site for Jackets, Plastic outer jackets and anti static inner jackets as well..
HEAT WAVE: how are you all coping with the actual climate if you have no air conditioning?Throughout the year the temperature in my record room is 20 centigrades. In Summer it will rise a bit, but never exceeding 25. Now I am at 31°. The records are tightly stacked and my reaction has been not to take them out for listening. I don’t touch them. The temperature has climbed slowly, so there has not been a sudden exposure to heat and they are not exposed to the sun. I will wait for the temperature to come down gradually. In the meantime I use youtube to listen to my favourite music. It is a great service. Anyone any thoughts on the temperature effect on vinyl? HI LJC, I have often considered using these shaped anti-static bags — partly because sometimes a record may have a ‘company inner’ that I would like to use…. You can line it with an anti-static bag. 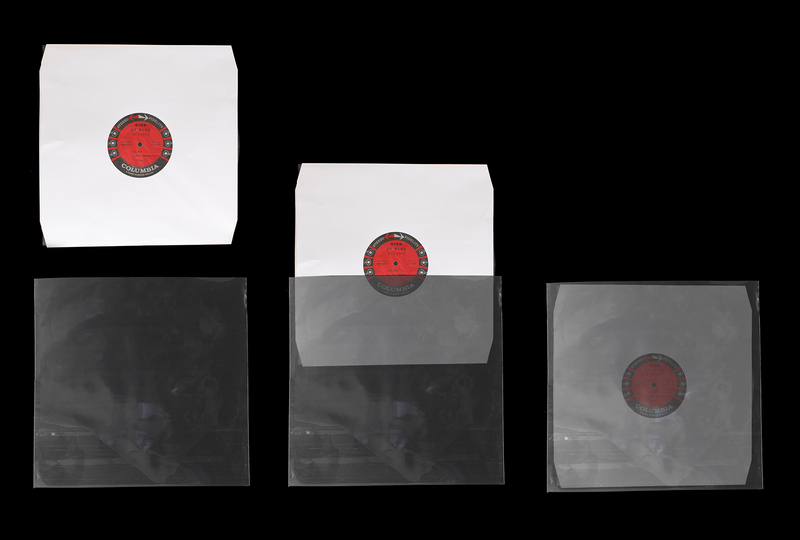 However, do you find these bags come out of the paper liner when you take out the record? Are they a fiddle to use? Be honest. We are always honest around here, Alun. Maybe it’s in the handling – left hand pinches the paper liner and anti-static together while the right hand dips in and draws the record out – without touching the grooves. Returning the record is sort of similar in reverse. I have been using this combination for about the last five years and may be the movement is “practiced” by now. A ritual. In my system the anti-static bag doubles up as a “marker” that confirms the record has been through washing, since it goes in the bag immediately after it comes out of the washing machine. – when its super clean and minimally static. Alun, I’m looking for the best sleeve combination myself and to be honest, quite like to look of the black poly lined sleeves sold by covers33. Could you confirm that these sleeves cover the record completely and don’t leave any bit exposed? Would that be the same case with the white ones? I can’t seem to find Nagaoka type sleeves on covers33…no longer on sale? To interject, I recently bought a pack of fifty Nagaoka-style “mylar” sleeves from Covers33 – they had a couple of weeks back-order delay waiting fresh shipment, possibly they are so popular there is a supply problem. Worth giving them a ring, they are very customer friendly. Was it Moth or British Audio Products? By the way, have you noticed any difference between the two in terms of quality? I have always bought the mylar inners from British Audio Products inj the past (Mike Harris, “Mr Moth”, I believe is same company) but I noticed Covers33 had also started supplying them, very similar price, so I ordered at the same time as some 400g polys I needed. Can’t say I notice any difference, both U-shaped, and do the same job.I suspect they all come from Japan, from the same supplier. I appreciate your advice. One last thing I wanted to check with you. Do the Nagaoka style sleeves (British Audio) fit within British Audio paper outer sleeves? I’m mean the square ones, not the cut corners type which you showed above. Not sure if you have any experience with them. I’m new to buying vinyl. My collection has grown to about 100 lps over the last year. Nothing as valuable as Blue Note first pressings, but there are a few that are going for a few hundred on ebay these days (which is a lot to me). Mostly I’m buying the few current band’s I like on vinyl and some older stuff that is typically in the $30-$100 range. I’ve also been into the Music Matters and Analogue Productions jazz reissues lately. So, my point… I’m just not sure of the long term value of my vinyl. I also just want to be able to enjoy it. I do put all my new records into MoFi sleeves after they are run through the Spin-Clean. The one thing you do that I’ve been grappling with is the cover sleeve. I was originally going to get sleeves for all my covers as well. But then I noticed that the few records I had that already had poly covers were a pain to get out and put back when next to another record with a poly cover (putting back was the real challenge). How do you find taking out and putting back your records with covers sleeves? It is archival standard storage. Everything is new, mint, uncontaminated by previous owners, no foreign particles to rub, inert antistatic mylar against the vinyl surface, contains nothing hazardous to long term storage.. If there is an original paper inner, I store it inside the jacket. Regarding the polythene outer, not had a problem ever. Checkpoint – open end at top, so when you pull them out from the shelf nothing stays behind, everything comes out together. You can still read the spine through 400 gm poly so filing system is good. This method makes a lot of sense. However who is supplying these protective sleeves? Description: With the emergence of the Audiophile LP and the increasing availability of Japanese imports, consumers became aware of alternative inners that cossetted, rather than buffetted, the vinyl within. The former category of discs (when of U.S origin) usually come in luxurious rice paper liners with stiffening layers; U.K consumers soon found out that they were available in packs of ten at a cost that’s now shoot through the roof. But these same consumers also noted that the round bottomed luxury liners as used by the Japanese were also available seperately, and they matched the wondrous American sleeves in all but two areas. They share the same static fighting properties and they don’t – if kept clean inside – scratch discs, but they lack the easy-to-handle stiffness and the higher price. I swear by these – Perhaps they ship to Savoia, you could ask. Firstly, I’ve only recently discovered your site and already found it a very valuable resource and for that I’d like to thank you. I’ve just ordered a small number of polypropylene 5ml “glass clear record sleeves”. They appear to resemble the 400g polythene outers that you use but have a slight cosmetic advantage (at least to my eye) of being transparent which I think shows off the record better. This I hope will provide a compromise between the heavy, transparent (yet problematic) PVC and the somewhat “cloudy” 400g polythene. I was wondering whether you or anyone has used them and have any views as to their suitability? 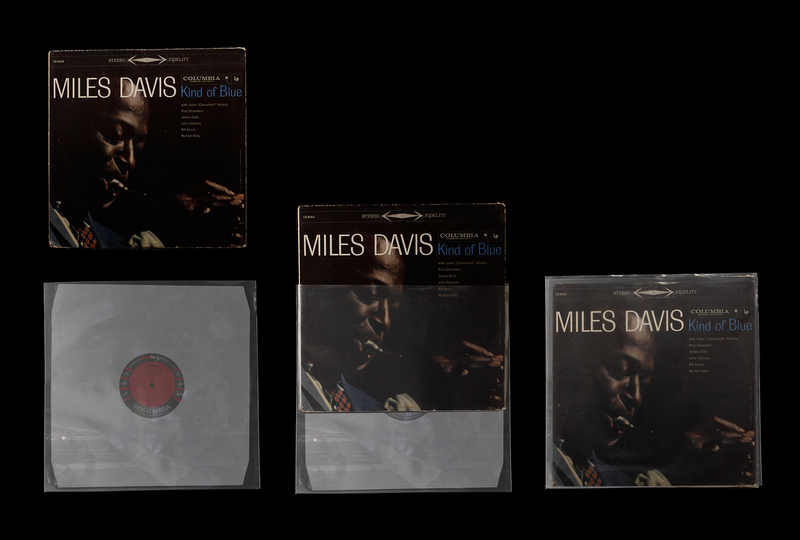 The clear plastic “stiff” outer bag has a tendency to bond with the album cover, forming a vacuum seal, which rips the artwork off when you take the LP out. Obviously it may be a case of over many years, but I have “lost” two album covers to this effect, heartbreaking, so I don’t recommend them for any long term storage. You are quite right that you can see the record more clearly than the 400gm poly bag, but there is a long term issue with the clear variety. Thank you for the response, duly noted.